As part of the national agenda, quality affordable housing is high on the priority list with a number of measures put in place to make it more accessible for Fijians to buy or rent their own homes. 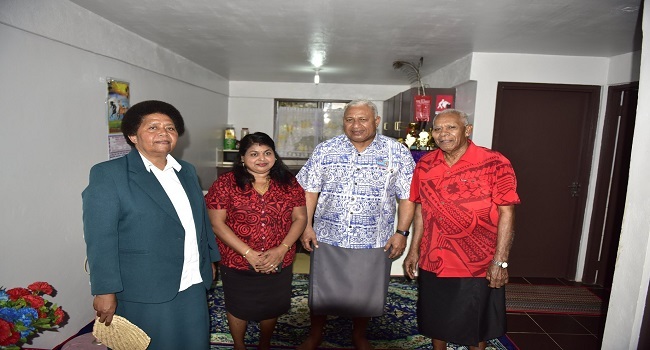 Prime Minister, Voreqe Bainimarama while commissioning 36 new low-cost housing flats in Kalabu, Nasinu this week noted that more is being done to make homeowners yet, out of Fijians. Minister for Housing, Parveen Kumar says most recently 120 brand new low-cost housing flats have been commissioned and more affordable housing for low-income earners is expected. Recently, the Public Rental Board opened 48 new flats of one and two bedroom units in Savusavu as well as 36 new one bedroom units in Simla, Lautoka. Adding to the growing list is the 36 one bedroom units opened on Monday in Nasinu.